Seagate Moonta Bay is everything you’ve been searching for in a beach venue. Popular among couples planning the quintessential beach wedding, this venue features panoramic oceanfront views, an abundance of natural light, and endless photography opportunities nearby and along the coastline. 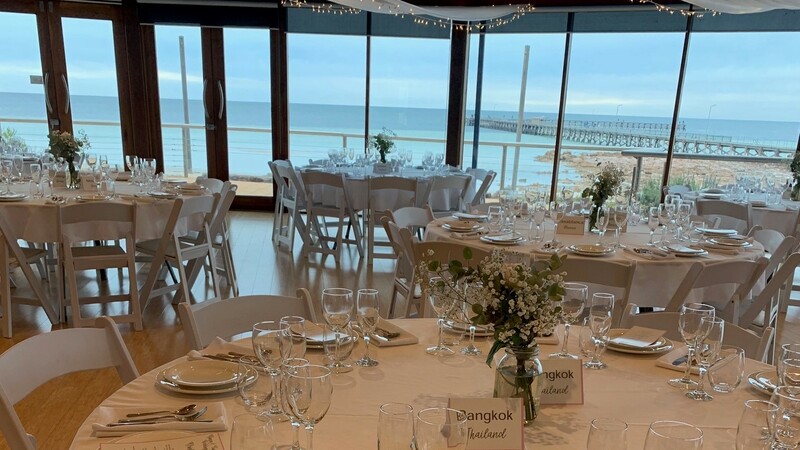 Stunning ocean views unparalleled by any other Yorke Peninsula venue, the Seagate at Moonta Bay is the perfect location for any event. Ideal for weddings, meetings and social functions, the Seagate can seat up to 140 people. Accomodation is available on site in our beach view rooms. Book the venue and the accommodation exclusively for your event.